As far as English counties go, Berkshire has its fair share of wonders! From royal palaces to Georgian mansions, and from theme parks to tearooms, you can enjoy the very best of British character and charm, all situated in beautiful countryside. If you’re visiting the UK, this is one county you must visit. What’s more, it’s not too far away from the capital, London, which makes it ideal for a day trip should you be staying in the busy city. With that in mind, where do you need to go when you visit this beautiful area? A stunning 18th-century Georgian mansion situated in Swindon, this National Trust property can boast being a Downton Abbey backdrop. One of the county’s true treasures, it is open for visitors to explore. Highlights include elegant 18th-century reception rooms, a homely antique kitchen, and an art collection that features works by Old Masters. There are also lovely gardens for you to stroll around, including a rose garden and a terrace, plus 400 acres of parkland. What could be more quintessentially British than enjoying a fresh cup of tea, along with delicious afternoon tea delights? It is one experience you really must try, especially if you can do so in a picturesque location. Luckily, Berkshire has plenty of tearooms, but Whittington’s Tea Barge is easily one of the most unique. Based in a quaint barge moored on the Thames beside Christchurch Meadows in Reading, this afternoon tea spot gives you the chance to enjoy Darjeeling and scones on the water. 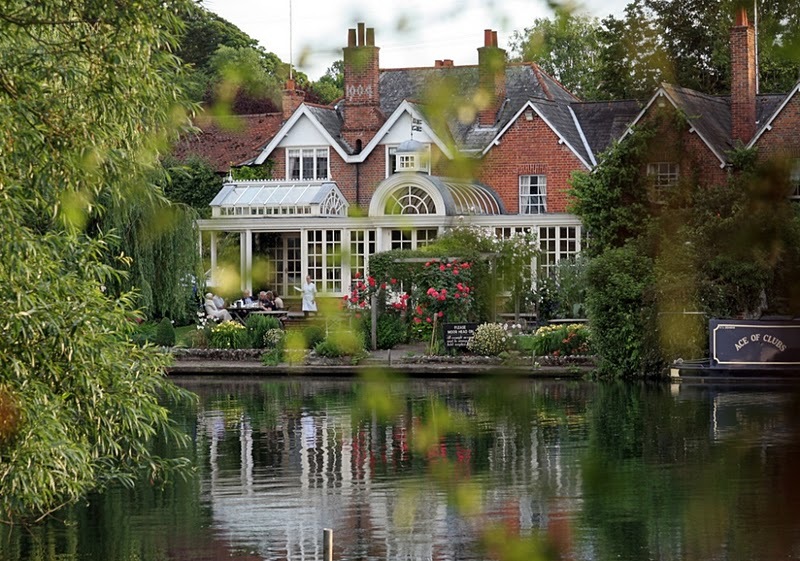 With the aim of keeping the British tearoom tradition alive, you can enjoy breakfasts, cakes, pastries, soups, sandwiches and even a glass of bubbly while gazing out on the river in one of the nicest places in England. Close to Windsor Castle, The Corner House encapsulates what’s best about the classic English pub. This includes real ales and ciders on tap; a hearty menu filled with home-cooked favorites and plenty of original character. However, it combines all of this with more modern touches, such as a refurbished interior, international dishes, and sports TV. You can even enjoy listening to the pub’s vinyl collection or head to the roof terrace for views over the pretty market town of Windsor. If you want to find out more, or book your table, visit thecornerhousepub.co.uk. Berkshire is not just about history and gardens; it has plenty for families to enjoy as well, with a range of theme parks and fun day outs on offer. A highlight is LEGOLand in Windsor, which includes over 55 interactive rides, shows, and attractions. These include Castaway Camp pirate play area, Drench Towers water play structure and the LEGO Star Wars mini model display. As well as this, you can have a go on the Atlantis Submarine Voyage, DUPLO Train and Viking River Splash. Expect an exhilarating day out for all ages. Whether you are looking for a family adventure that you will remember for years to come, an awe-inspiring palace tour or a peaceful afternoon tea, Berkshire has it all. The only question is — where will you head to first?